I don’t know about everyone elses kids but my kids are a bit pass carrying a big plastic pumpkin Halloween night. 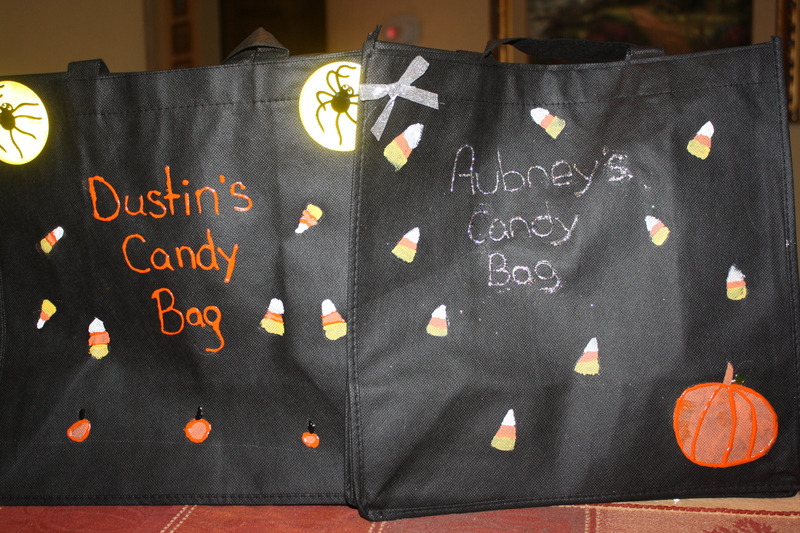 So we decided to make our own Halloween Candy Bags! Plus this was so much more fun for them. 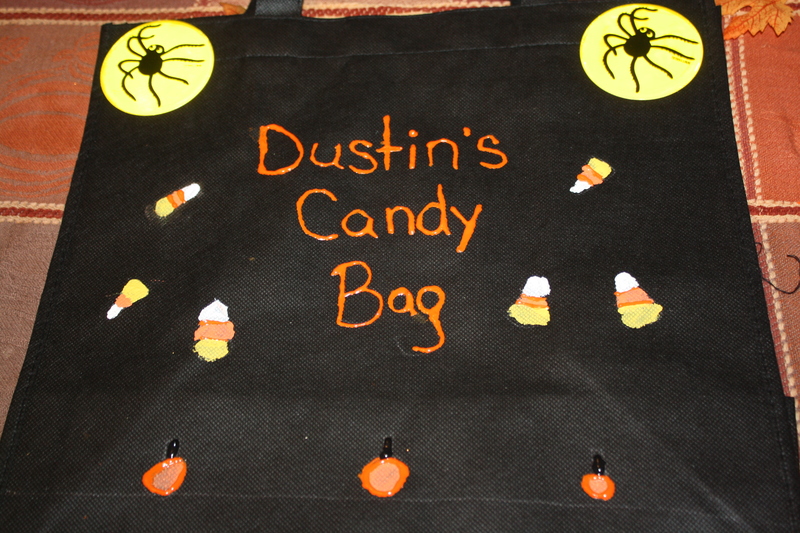 Here is a list of items you will need to make your own Halloween Candy Bags. 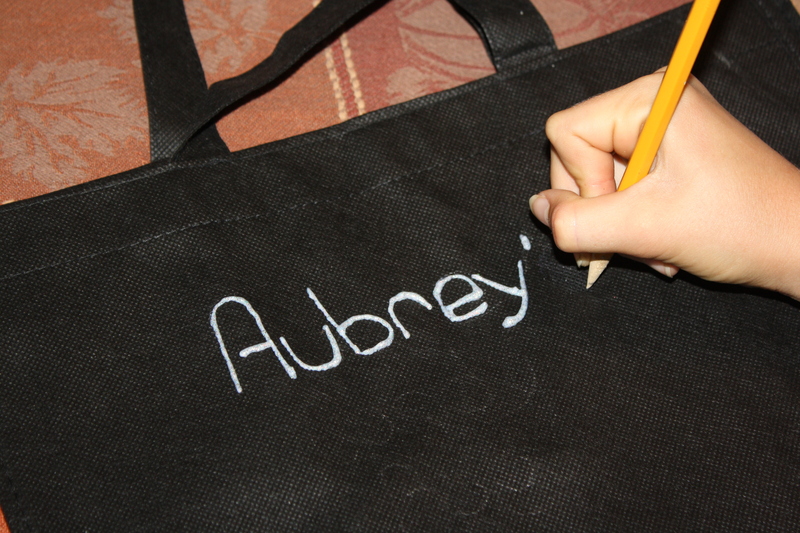 I helped my 6-year-old with the writing on his bag but my 11-year-old was able to do hers all on her own. We used a pencil to write what we wanted first then went over that with the puffy paint. 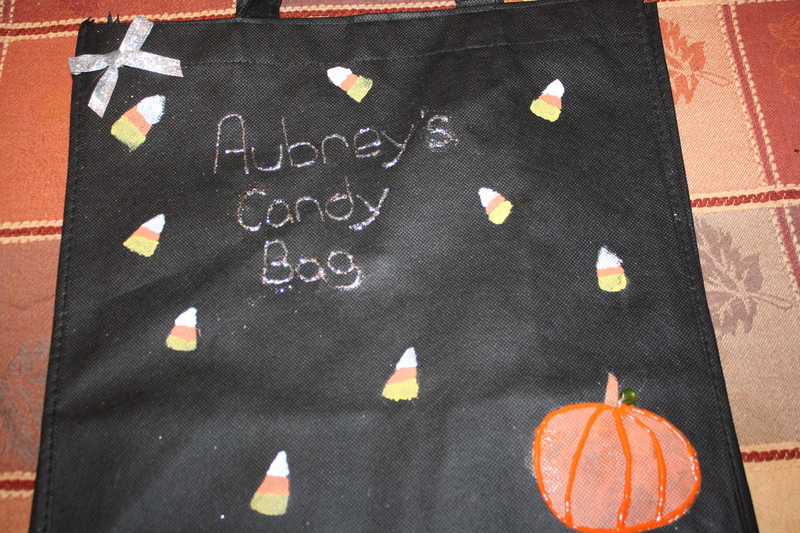 Then we used the pencil to draw the candy corn and the pumpkins on the bag. 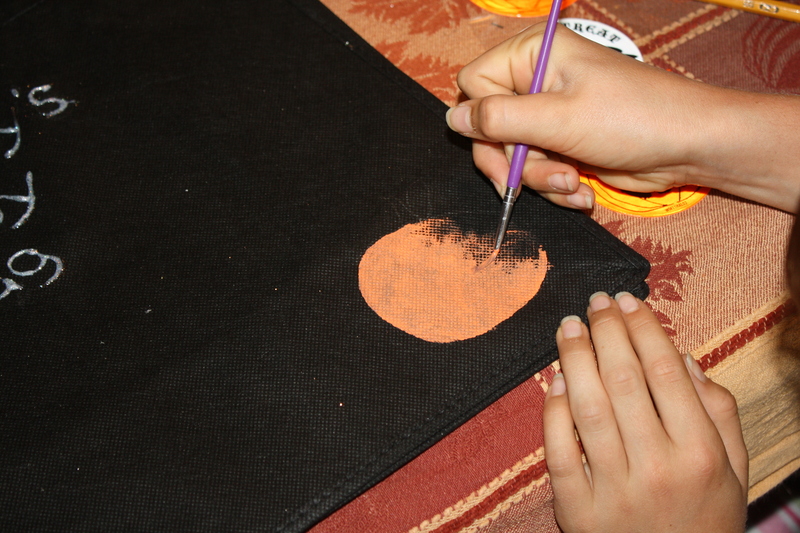 Then used the fabric paint to paint the candy corn and pumpkins in. They finished them off with stickers and ribbons. I think not only did they have fun making the bags but are both very happy with how they turned out. 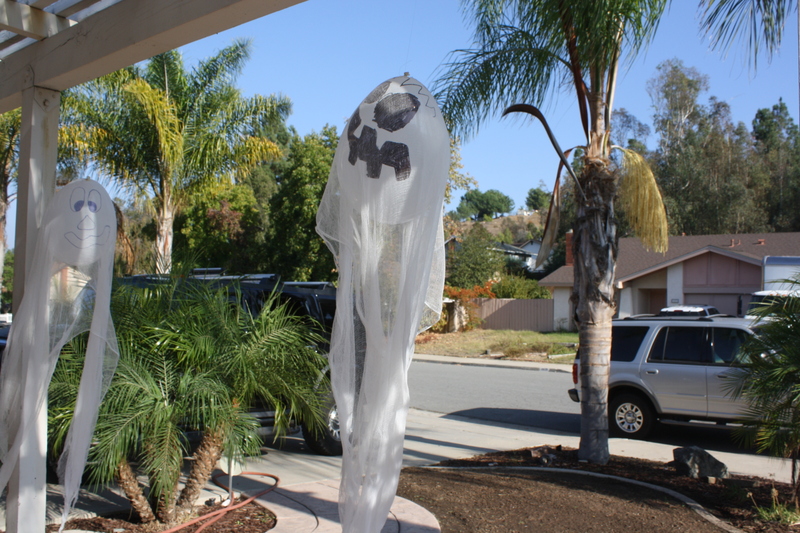 Cheesecloth – Cut to lengths of about a yard. The Michaels by me did not carry cheesecloth but Wal-mart did. Glow sticks (optional) We made them with glow sticks and without. They were cute both ways. The glow sticks did not last very long though. 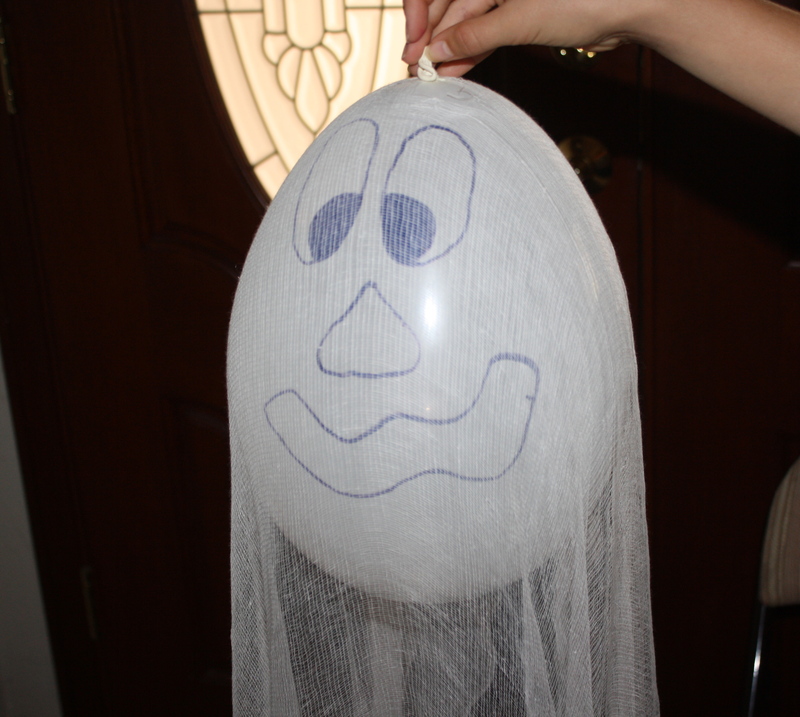 Activate a glow stick and insert it into a balloon. Then inflate and knot the balloon. 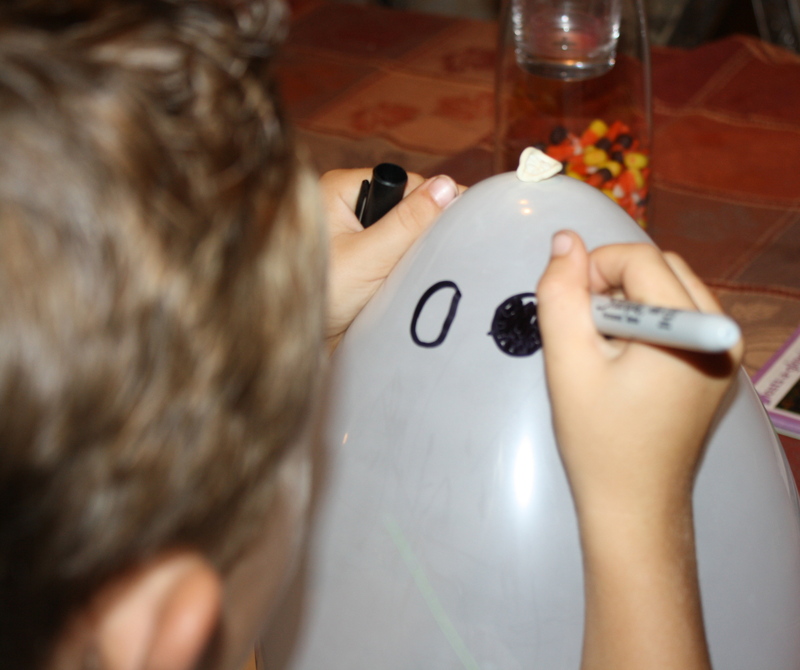 Position the knot at the top of the balloon, and use the permanent marker to draw eyes and a mouth.